Prime Minister Nguyen Tan Dung has given a number of directions to authorities and relevant agencies, requesting them to stem the outbreak of dengue fever, which is on the rise in 50 cities and provinces across the country, especially in the southern region. Mosquito-borne dengue fever has infected more than 29,000 people since the beginning of this year, causing 18 fatalities. In the PM’s recent urgent notice, municipal and provincial authorities were asked to launch public campaigns to eradicate mosquito and larva with chemical sprays, especially in construction sites and residential areas lacking clean water. The Health Ministry is responsible for dealing with outbreak hotbeds and devising preventive measures while getting all necessary equipment ready, and the Finance Ministry is to ensure sufficient funding for prevention and combat efforts. 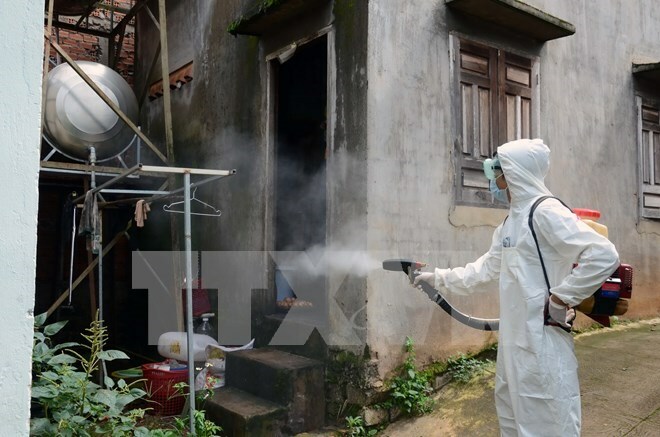 Head of the Health Ministry’s Preventive Medicine Department Tran Dac Phu told the Vietnam News Agency in a recent interview that the public health sector has launched responses to the outbreak, including establishing inspection groups in high risk areas, providing necessary equipment, opening training courses for medical staff and destroying mosquito larva in localities. In northern Vietnam , dengue fever is prevalent in hot months from April to November, while the central and southern regions are prone to the disease all the year round due to hot weather, but outbreaks usually peak in the period from July to October every year. According to the World Health Organisation, around 100 million people are infected with the fever each year, mostly children below 15. The disease is circulating in more than 100 tropical countries worldwide with about 3.5 billion living in high-risk areas.